Ava is Deaf, and she loves it! She’s proud of who she is. Mostly she’s like any other seven-year-old kid. She likes to talk and laugh with her friends; she loves sports and she’s mad about dogs. But being Deaf makes her different (in a good way) too. It means she can speak two languages, and be part of a huge Deaf community. Plus, she gets to try out some really cool gadgets. Get to know Ava as she shows you her daily life, introduces her Deaf heroes and teaches you how to sign. 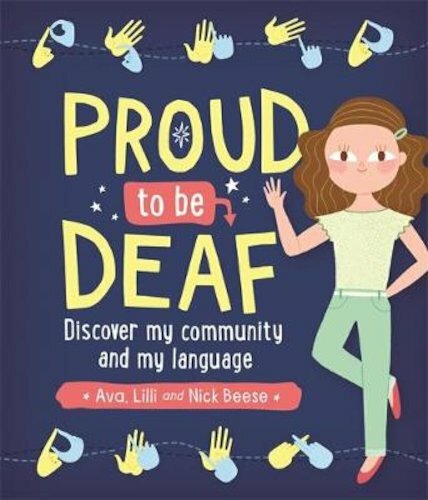 It’s all brought to life by real photos of Ava and her Deaf parents, who wrote this book together and know what they’re talking about!